There is a video tutorial up on the site so you can see why this is different from any other collage adhesive out there. 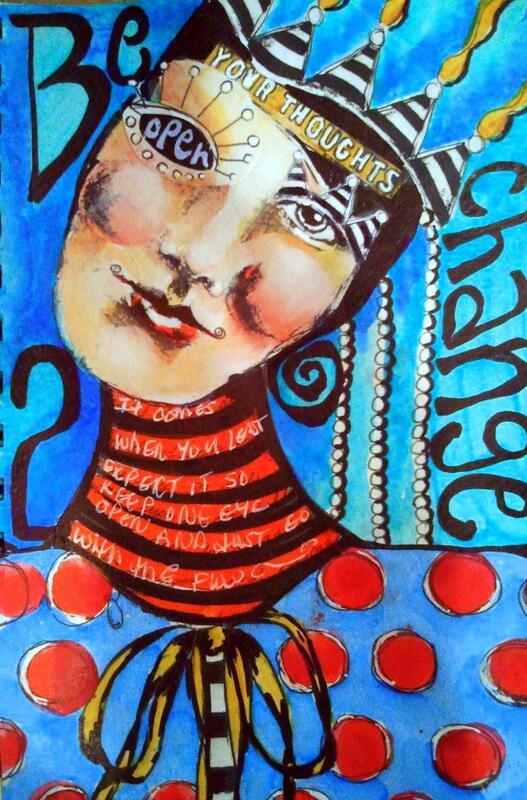 Here is a sample journal page using the Mixed Media Adhesive to collage black and white copies of snippets of my artwork and then I used water colors and black pens over the top. Any chance we could have the product available here in Canada? Looks like it’s out of stock Pam? Thank goodness. 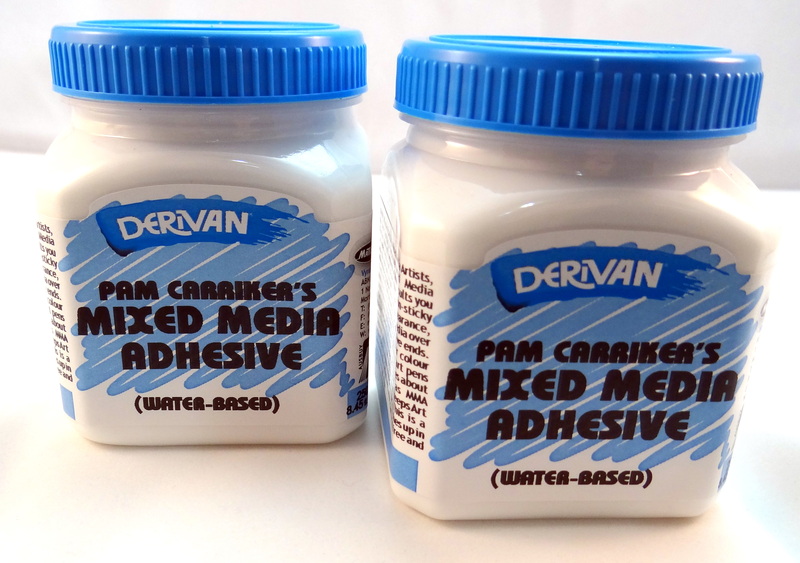 I’ve been checking out the Interweave store every few days since you posted the video about this adhesive. I’m going shopping NOW! This looks like a fantastic product. Can you please tell me how many ounces are in a jar? Hooray – I got 2 bottles on order! !